FMM’s Easiest Peony Cutter is the perfect way to create beautiful and realistic sugar peonies. This fantastic cake decorating cutter is simple to use and will help you create beautiful sugar flowers in various different sizes for any wedding cake, birtday cake or celebration cake design. To create your paste you can use equal quantities of sugar paste and modelling paste together, or simply use sugar flower paste. Knead well and add colour if required. Make a ball of paste which, when measured against a petal in the small cutter, fits well inside it. Elongate the ball slightly. Roll paste out very thinly and cut out two shapes with the smaller cutter, and two shapes with the larger cutter. Working on the smaller pieces first, thin the petal edges all round with either the ball tool, or the end of the rolling pin. Then, using either of these tools, ball each petal to curve inwards – do this along one side, then turn paste over and ball the second side. This will ensure that all the petals curve inwards the same way. Brush a line of glue along the length of the paste just above the centre. Fold in half lengthwise and brush another line of glue along the bottom edge. Roll up around the ball, starting the roll as tightly as possible. Take the second small piece and repeat the process. Repeat with the two larger pieces. This will give you a reasonably large peony, but you may add more pieces until you have the size required. Sugar flowers are also suitable if your wedding cake is a gluten free wedding cake or a vegan birthday cake, an eggless wedding cake or a vegan wedding cake. We have a fantastic range of birthday cake decorations which you can simply make your self or to place on top of your beautiful themed birthday cake design. 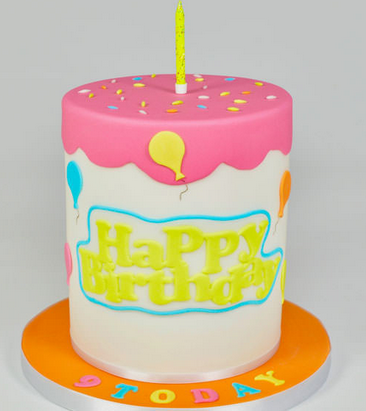 From a great range of birthday cake candles to our sugar pipe cake decorations, we are sure you will find everything you need, as well as, great friendly advise from our team at Sugarbliss Cake Company, Solihull, West Midlands. Some of our most newly arrived cake decorating products have proved to be very popular. Our new happy birthday cutter will save you lots of time as well as, creating a fantastic happy birthday message on your cake. We also now stock available from our cake decorating shop The House of Cake glitter icing is back with a new and improved recipe! This new formulation has been created using an icing base instead of a gel to ensure it sets hard and does not run. Available in gold and silver, these writing icings are perfect for adding sparkle to cupcakes, cakes and decorations. FMM’s new Happy Birthday cutter is perfect for creating curved word birthday cake toppers and decorations with a difference! Add lustre dust, gold/silver spray or edible sparkles to complete the look. 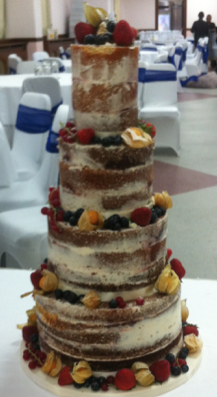 Eggless Wedding Cakes & Vegan Wedding Cake Flavours by Sugarbliss Cake Company, Solihull, Birmingham, West Midlands. Choosing your wedding cake flavours is one of the most important – and most fun – decisions that a bride and groom will make and should reflect their big day’s theme and style. When choosing your cake flavours and including any dietary requirements, should be one of the first things to do when deciding on your overall wedding cake design. Although many of the traditional wedding cake flavours are suitable for almost any wedding cake design, if you are choosing an Eggless wedding cake or a vegan wedding cake you must check with your wedding cake designer if there are any wedding cake designs which would not be suitable using these flavours. Eggless and Vegan cake recipes do not have as much strength as a typically baked sponge cake and require much more support and careful planning. This may effect the overall size or shape of your wedding cake especially if your wedding cake design is shaped in any way. One such design which is perfect for eggfree wedding cake and vegan wedding cake designs are the popular semi naked wedding cakes. These stunning rustic looking cakes can simply have added to them sugar flowers or fresh fruit/fresh flowers to adorn the tops of these stunning wedding cake designs. 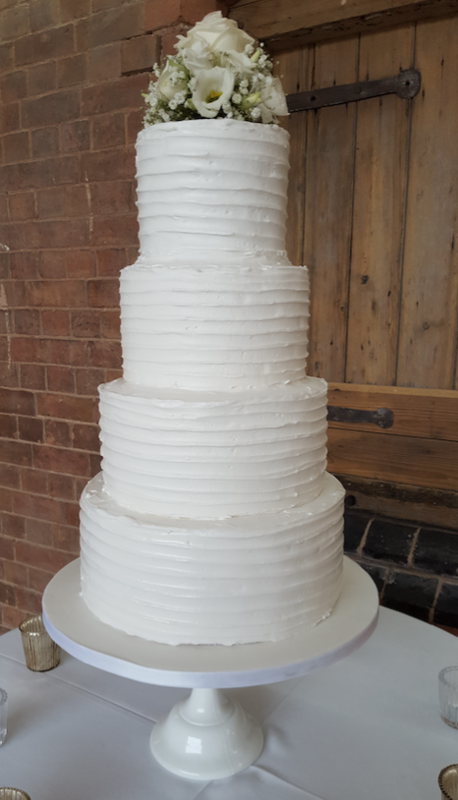 If you are interested in our delicious eggless wedding cake or vegan wedding cakes , please contact us or why not simply order one of our sample boxes to fry our eggfree or vegan cake flavours.